SPECIAL DEAL - Usually £149, today just 26.95 - Save over £122! 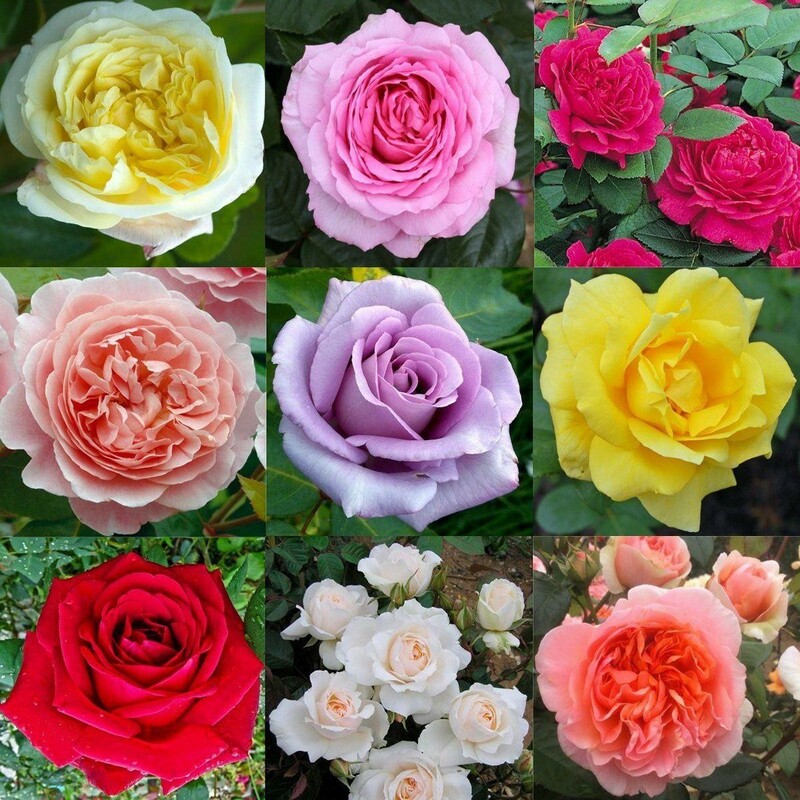 If you love gorgeous brightly coloured fragrant English Roses in your garden, then this is the offer for you, providing an amazing offer of 12 high quality varieties of premium garden bush roses for less than £ 3 a plant!!! The selection these will be picked from and features the best premium quality, premier varieties, so this deal really does represent great value for money. Because we grow and sell so many roses every year, we are able to offer this outstanding deal that would be tough to beat elsewhere. Planted now, these will make fantastic blooming plants in the garden for next summer, and for years and years there after. They are very versatile and can be grown in patio planters on balconies through to garden beds and borders, trained up trellis or fences grown through obelisks and more. This is the best value way of adding a stunning selection of classy varieties to your garden, we will select from a wide range of what we feel are some of the best roses available. We have quality stocks, and thousands of plants to choose from to give you the best selection possible. We'll be choosing from the best old favourites and more modern varieties, including old English Shrub roses which retail for around £25 each in garden centres when fully grown. What can beat the fantastic depth of colour you can achieve in your garden and on your patio with these plants. You're sure to generate masses of admiring glances to the display you can achieve with these. Let's not forget the outstanding perfume and fragrance that our Roses are famed for across the world. Not to be compared to low grade quality and variety offerings available elsewhere, these plants will thrive in your garden. Buy your collection of Special Roses today, and get decades of colour and perfume with easy grow plants, whilst our limited stocks last. Your bundle of roses will come ready for planting out in the garden.